With its tailored simplicity, this curio would work equally well in soft traditional Or Sleek modern interiors. The Curio is solidly built in select hardwood solids and Veneers with a dark and dramatic Chocolate Cherry II finish. 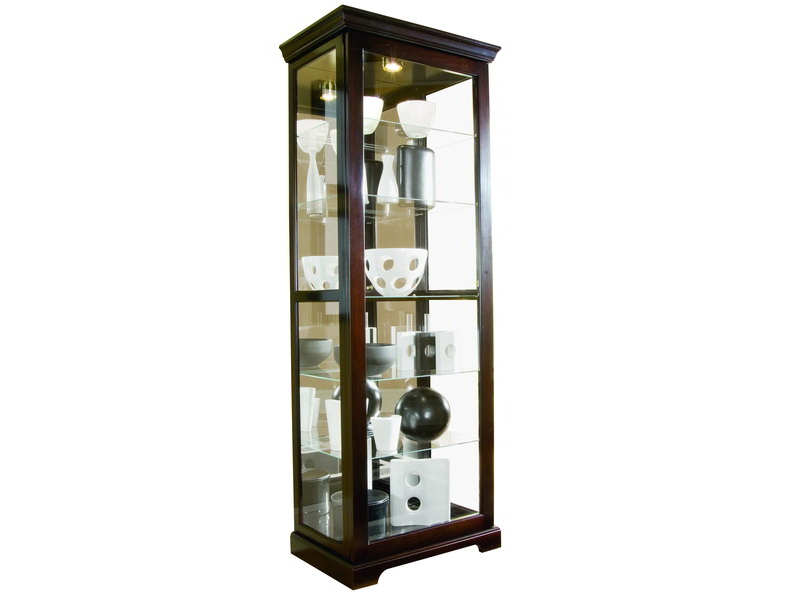 Our curio features a mirrored back, halogen lighting, adjustable glass shelves, and adjustable glides for leveling. It has a two-way felt-lined sliding door with lock.